1) It is listed in smaller print on the back of your Florida sales tax permit. 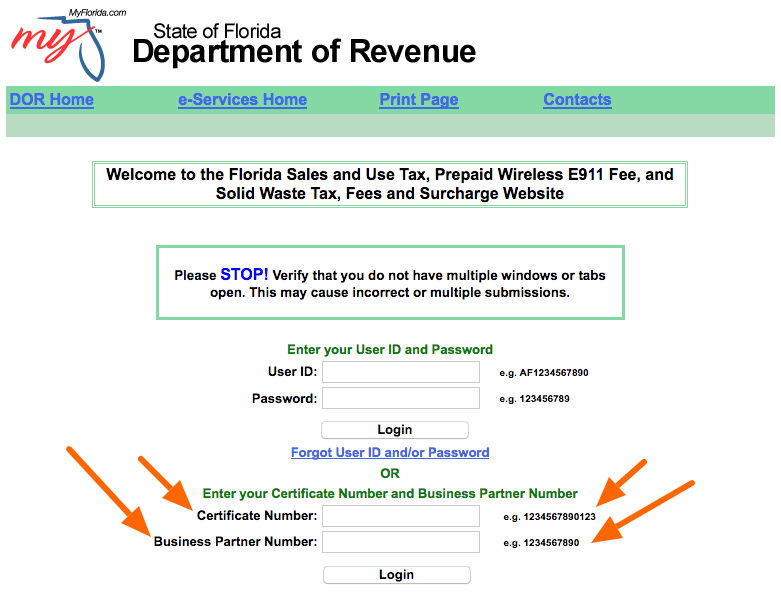 The full Business Partner Number will be 14 digits, but the state requires only the first 13 digits to login to the e-file website. AutoFile enrollment also requires only the first 13 digits. 2) The state can also do a lookup of this number of you give them a call at 850-488-6800. We have more detail about the Florida Business Partner Number in this blog post. Florida: What is my Certificate Number and Business Partner Number? Florida: Can I use my User ID and Password to enroll in AutoFile instead of my Certificate Number and Business Partner Number?